* for 4,90 Euro only. For more than ten years, experts considered the hierarchical and adaptive project management models as strong competitors. A few years ago IT experts started combining these approaches and doing the best for their projects by implementing the best features of each methodology and decreasing risks. 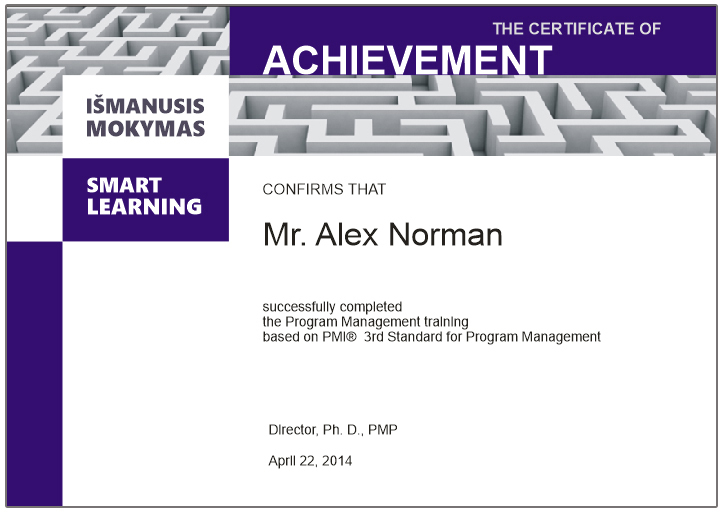 In 2013, the PMI® has presented the PMBOK® Extension for Software projects, in which one can find an attempt to formalize the simultaneous use of the PMBOK® and adaptive project management. At our seminar, we discuss this item, its advantages and risks. – Non-IT managers, which are stakeholders for IT services and projects in their company.